Kodable starts your students’s programming education off right. They learn lessons on sequence, conditions, and loops by dragging and dropping commands to program their fuzzy character. You can also learn with your student by using the Smeeborg Learning Guide, which explains each of the concepts taught in the first 45 levels of Kodable. Tellagami is a mobile app that lets you create and share a quick animated video called a Gami. To create a Gami, customize your character and background, then record or type a message for your character to say. Tip: Students can customize their own avatar, upload images for backgrounds, and record their own voice to create their Gami. No account or login information required. Week two of our Thanksgiving books 13 days left until we can gather with friends and family. We will be reading The Pilgrims First Thanksgiving by Jessica Gunderson (3rd grade), Charlie Brown Thanksgiving by Charles Schulz (2nd grade), Thannksgiving Rules by Laurie Friedman (1st grade), and Over the River and Through Wood by Joseph Bruchac (Kindergarten). Checkout our Destiny home page. 3rd Grade Mr. Bent and Mrs. Edwards - We will finish up our scavenger hunt for call numbers in our library. 2nd Grade Mrs. Swihart and Mrs. Crimmins - We are going to be creating a Venn diagram comparing and contrasting fiction and nonfiction books. 1st Grade Mrs. Hays and Mrs. Carr - The students are going be reading a book and then watching a video and compare and contrast the book and the video. Kindergarten Mrs. Savage and Mrs. Richter - We will read two books one will be real and one will be a make believe book. We will discuss what is real and what is make believe. We will see Mr. Brummet's and Mrs. Argo's/Mrs. McFall's classes on Monday. We will see Mrs. Catlin and Mrs. Galindo on Wednesday (Mrs. Ferguson will be my sub) for library lessons. The 4th and 5th grade classes will be taking a library survey. We will be working on our keyboarding skills and posture and we will be logging into our gmail accounts and taking the survey electronically. The library will be open everyday this week except for Friday afternoon. We have scheduled class checkouts on Wednesday (Mrs. Yenni) and Friday (Mr. DeBauche). 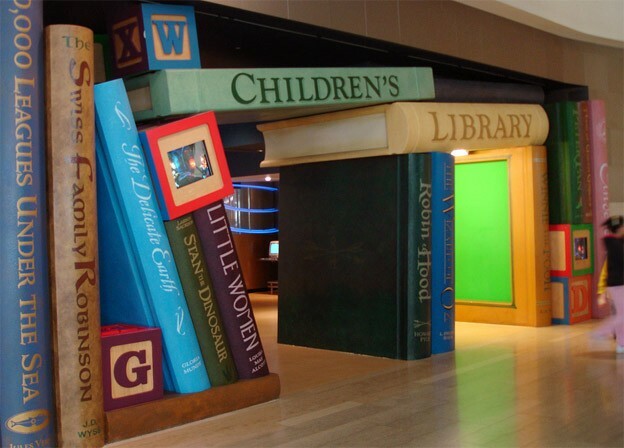 During 8th hours on the following days, Monday (Mrs. Blake), Tuesday (Mrs. Weller), Wednesday (Mrs. Yenni), and Thursday (Mr. Rickley) the 6th grade language arts classes will be in the library for checkout.